Four Per Pack. 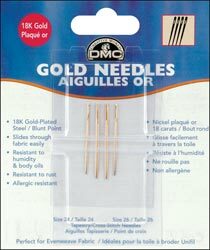 These premium quality gold needles slide through fabric more easily and are rust proof-resistant to both humidity and body oils. Allergy resistant for sensitive skin.